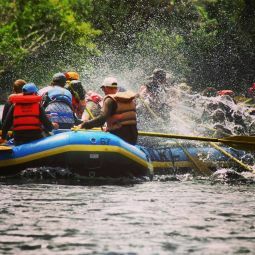 We are very excited to have you rafting with us this summer while you are at Camp Como! For your convenience, you may complete your release forms online! Below is your link to fill out release forms. If you have more than one family member going to camp, please have each member fill out a form for the appropriate program. The instructions are fairly self-explanatory as you go. 1. Click on the link for the date you are rafting, below. 2. If you are under 18, have a parent or LEGAL guardian complete the form with you. 7. You’ll go back to the start screen, and the next participant can do his/her release form. 8. You’ll receive an email with a PDF of your waiver. 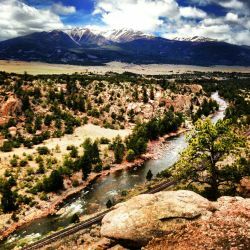 "From taking us down Brown's Canyon in its unmatched beauty & whitewater, to the guides who care deeply about the well-being & experience of guests, Noah's Ark stands alone in their ability to provide a trip you will never stop talking about."